On May 8th, 2014, juniors had the privilege of meeting the director, producer, and writer of Documented. 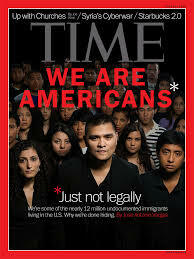 Jose Antonio Vargas is a Filipino journalist, filmmaker, and immigration activist, who wrote a film based on his life. When Vargas was 12 years old, he was illegally brought to the United States to live with his grandparents. Vargas, however, did not know he was “illegal” until he was 16 years old when he went to the DMV and tried to get a driver’s license. When he was 23, he was able to get his driver’s license, but only in the states of Tennessee and Oregon. He knew that he had 8 years to become successful so when his driver’s license expires, he has a purpose. Since then, he has worked so hard to become successful. On May 8th, juniors got to ask some questions after watching his documentary called Documented, which is about his journey being an illegal American. Vargas was very intrigued by the wonderful questions the juniors asked. A huge part of his movie is the Dreamers. Dreamers are mostly Mexican, female, and 15 years or older. The Dreamers’ dream is to pass the Dream Act. The Dream act is an American legislative proposal that addresses young people who grew up in the U.S. Under the law, currently, young people descend their immigration status from their parents and because their parent is not documented, they cannot get legal residency. Meeting Vargas really got students to think about family members and people who aren’t able to resolve their immigration status. Vargas encouraged students to be grateful. People in this world don’t have parents or even a house and others take it for granted. He really opened a lot of eyes.